How to publish independently with Amazon…and have a Guinness afterwards. After a fairly emotional few weeks following a bereavement in our family, I was very happy to get away from it all with Mr Ross for a few days. I managed to combine business with pleasure by accepting Amazon Kindle Direct Publishing’s very kind offer to come along and be a panellist at one of their events: ‘How to Publish Independently with Amazon KDP’, which was organised in association with Writing.ie. and held in Dublin last weekend. I have to say that this event was a pleasure to be part of: it lasted all day Saturday and was live streamed throughout libraries in Ireland, as well as via the Amazon KDP YouTube channel. The panels covered wide-ranging topics of interest, particularly to new writers, such as ‘How to Write a Bestseller’, ‘Marketing’, ‘It’s all in the Cover’, ‘How to Make a Book’ etc. Now that I’m onto my fifth book in less than two years, it’s easy for me to forget just how daunting some of these processes can be to people just starting out. 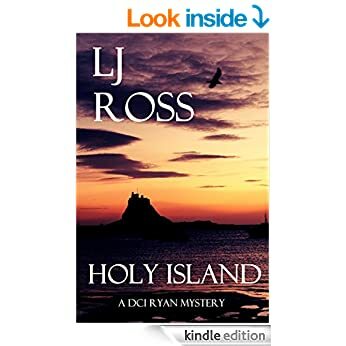 But it isn’t too much of a stretch for me to simply cast my mind back to Christmas 2014, when I was on the verge of first uploading Holy Island. That book went on to be an international bestseller but, at the time, I had no way of knowing that. It’s so important for me to participate in these events, not only to share the knowledge I have acquired, but to remind myself of that initial excitement about the industry. And there is a lot to be excited about! Yes, it can be competitive and, yes, you need to work hard, but tell me one industry where that isn’t the case? At least you can be creative and write books which is such a rewarding end in itself. If you’d like to watch the panels again, you can do so here. The atmosphere was so lively and positive but at the same time there was a laid back feel which allowed people to relax into the panel discussions. I was joined by some lovely authors and industry professionals, including Mark Dawson, Hazel Gaynor and Catherine Ryan Howard. Rick O’Shea kindly compered alongside some of the team from Amazon and Victoria Fox O’Loughlin from Writing.ie, all of whom have valuable insights and experiences to share. That really struck a chord for me – we may have shared ideas about certain elements of the business, but we are each very individual in our approach and style, which is encouraging for anyone thinking about taking the leap; you don’t have to be pre-packaged in order to succeed. Dublin itself was warm and friendly, as always. We caught up with some old friends, treated ourselves to a well deserved beverage of the alcoholic variety and thoroughly enjoyed spending time with like minded people. One brilliant series so far. I can hardly wait for you to write the next one.